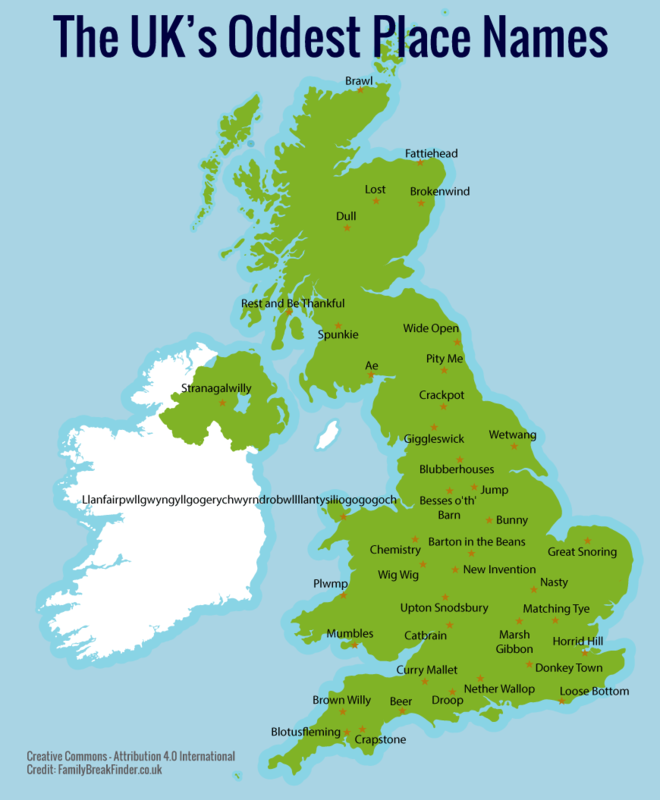 From Giggleswick to Dull the UK has many weird, silly, odd and rude place names, which you can see in the map above. The map above shows the most common European surnames that have their origins as a specific type of occupation. Both Millers and Smiths are particularly popular. 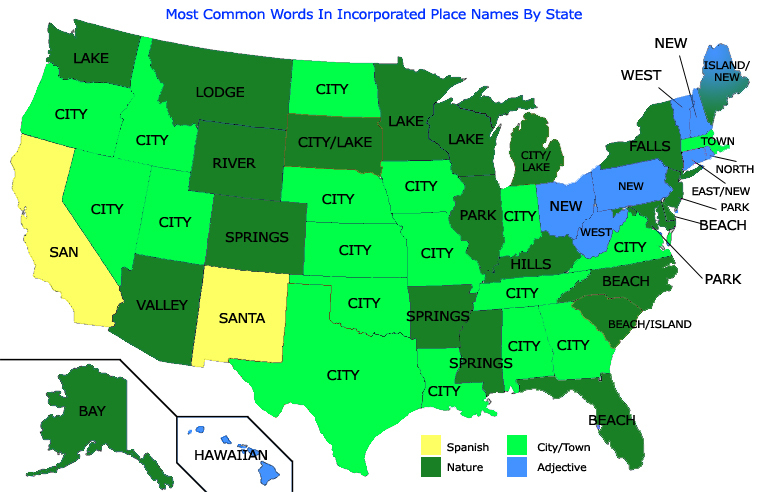 The data is somewhat unscientific as it comes from Wikipedia, supplemented with data from reddit. Why are there so many countries that end in -stan? In total 7 countries: Afghanistan, Kazakhstan, Kyrgyzstan, Pakistan, Tajikistan, Turkmenistan and Uzbekistan include the suffix -stan in their names. These countries have a combined population of nearly 280 million people (fewer than only China, India and the United States) and cover an area of 5.45 million square kilometers (7th largest in the world).